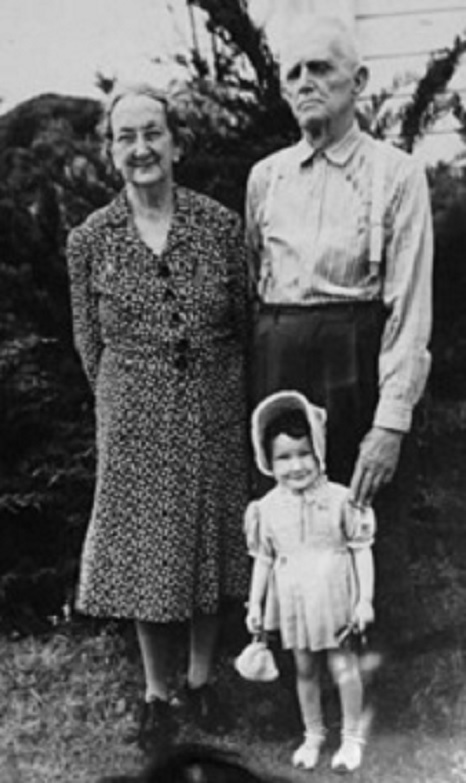 Bill Snead and Laura Youmans Snead were the parents of Maxie Snead Patten. Maxie was a well known athlete, teacher, coach, youth leader and author of Berrien County, GA.
Laura Youmans Snead, William McIntyre “Bill” Snead, and granddaughter Reba Patten. Photo taken in mid-1940s. Courtesy of Reba Patten Mason and Linda Ward Meadows. 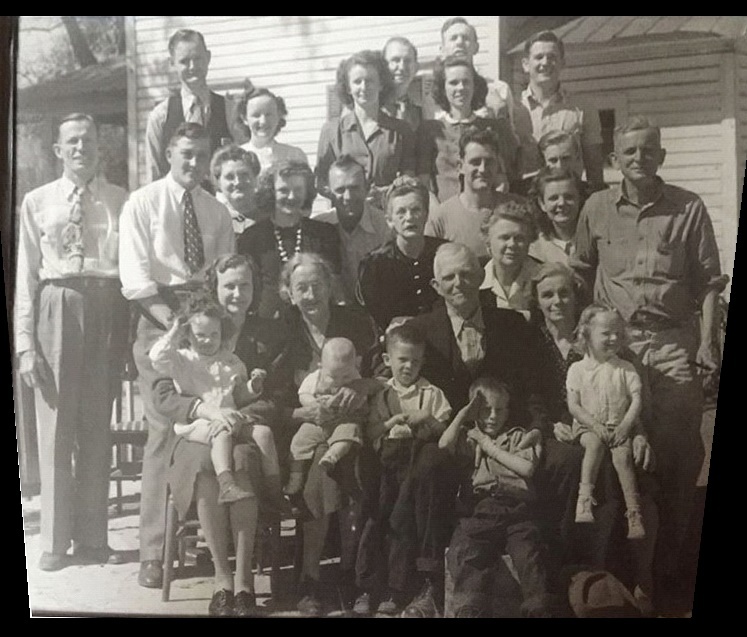 According to Reba Patten Mason, her grandfather, William “Bill” Snead, was born in 1866, a year after the War Between the States ended. He died at the age of 97. He had fallen down the steps of his house in Nashville, and broken a hip. Surgery was done and a pin was put in by his doctor. The doctor said that Bill had the heart of a 40-year-old. Unfortunately, Bill Snead died six months later, after he developed pneumonia due to being bedridden. Today’s medical advancements could have prolonged his life. With rehab, Bill might have lived even longer than his 97 years. He never had a shot, didn’t go to the doctor, and seemed not to have had health issues, until he broke his hip. He smoked a pipe, and occasionally drank some good whiskey brought to him by his son-in-law, Colonel Dewitt Sapp, from Atlanta. Special thanks to Linda Ward Meadows for photo and content. Sixty-two years ago on this date, August 31, Ray City Baptist Church heard from guest speaker Maxie Snead Patten, a well known youth leader, author, teacher and coach. Maxie Snead Patten 1937-38. Image detail courtesy of berriencountyga.com. Mrs. Patten to Speak at Ray City Church Sunday P.M.
Mrs. Maxie Snead Patten will speak Sunday evening at 8 p.m. at Ray City Baptist Church, it was announced today. The well known South Georgia young people’s leader will speak primarily to the youth of the community, filling the pulpit of the Rev. John W. Harrell. A large attendance is being urged. 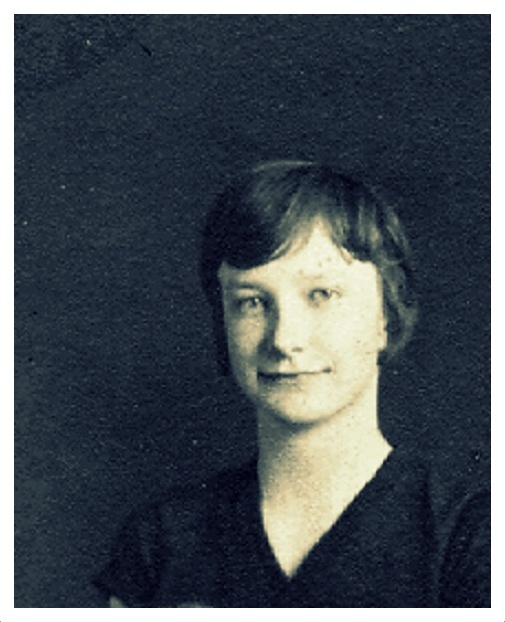 Maxie Snead Patten was a daughter of Laura Youmans and William McIntyre “Bill” Snead, of Nashville, GA. Her father was a large land owner. 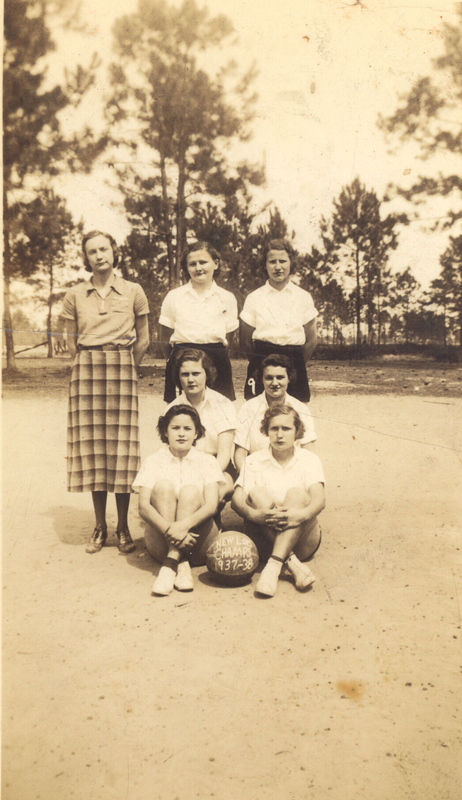 Maxie Snead attended Nashville High School where she played on the girls basketball team. In 1933, Maxie Snead married Grover Patten in a Christmas Eve ceremony performed by Reverend John W. Harrell. Later she taught in area schools and coached girls basketball. 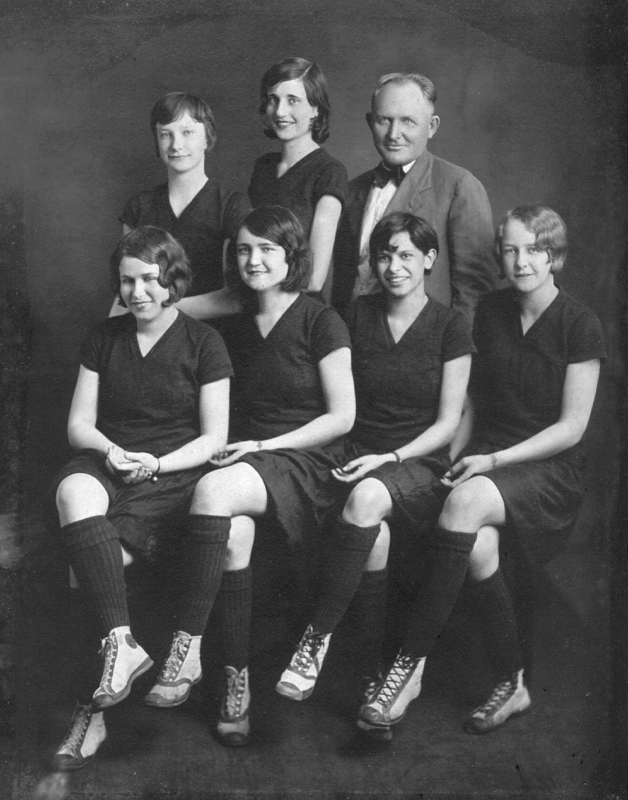 In 1937-38 she coached the New Lois girls team to the Berrien County championship. In the 1940s Maxie Snead Patten authored a book, Youth, the Miracle Age, and was known as a youth leader. L-R, are Reba Patten, Patti Patten, and Kaye Patten. 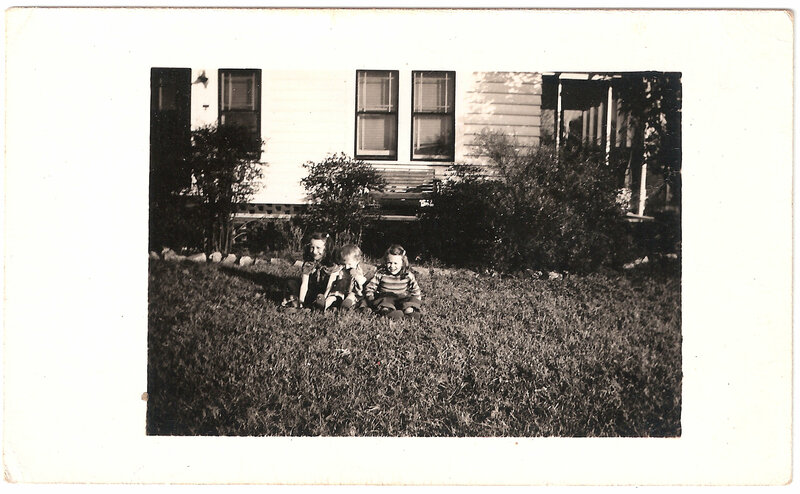 The photo was taken in late 1940s, at the Grover Patten home in Nashville, GA, next door to Bill and Laura Youmans Snead, grandparents of the Patten children. (Identifications courtesy of Linda Ward Meadows).